SAM’s Equity Team has a vision: an inclusive museum where everyone can connect art to their lives in a welcoming and accessible way. 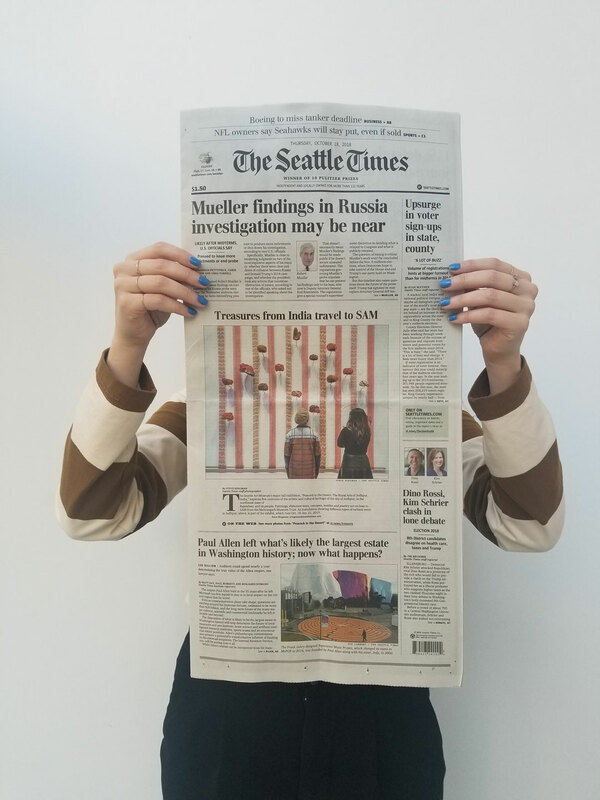 Since early 2016, SAM has participated in the City of Seattle Race and Social Justice Initiative. A key outcome of this has been our Equity Team, formed in connection with “Turning Commitment into Action”—a multi-day training program for arts administrators examining historic racial disparities in our region and discussing ways to build racial equity. “I’m excited about SAM’s commitment to prioritize time, resources, and support to build an equitable future here. The team’s contributions are essential to creating better access for our communities and fostering permanent change,” says Priya Frank, Associate Director for Community Programs and chair of the Equity Team. SAM’s Director and CEO, Kim Rorschach agrees. 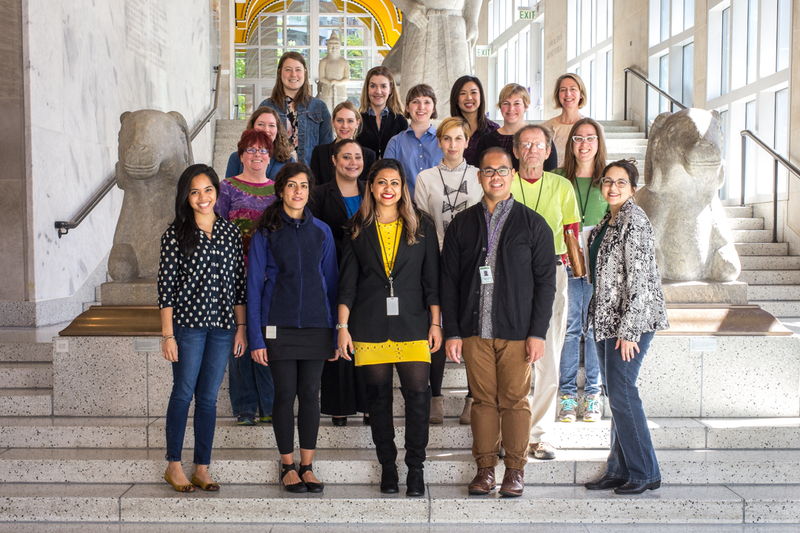 “The team helps steer the museum towards the important work of inclusivity and considering equity in all our decisions. This progress will help us develop a more diverse audience that is representative of our region and remove barriers to entry.” Informed by feedback from mandatory all-staff racial equity trainings, SAM’s Racial Equity Plan was drafted. The team now acts as stewards of this larger vision to reach equity across all aspects of the museum. This includes examining artistic and educational programming, visitor experiences, recruiting practices, as well as staff development and career growth opportunities. Although the museum recognizes that permanent change takes time and investment, initial changes are noticeable. Curatorial Coordinator Jenae Williams says, “The most tangible impact so far is the thoughtful consideration I overhear in meetings on installation planning or education programs.” This year the Equity Team organized free gallery tours focused on race and social justice, launched a new internship program for historically underrepresented participants, and created a book club inviting SAM staff to read The Warmth of Other Suns by Isabel Wilkerson, a nonfiction work about the Great Migration in which African Americans fled the Jim Crow South and settled in northern American cities. The book club examined this historical event and increased staff familiarity with Jacob Lawrence: The Migration Series, on view downtown through April 23. “We organize internal events for staff to engage in equity-related conversations and emphasize how central equity is to all of our work, regardless of what department a person works in.” says Marcus Ramirez, Coordinator for Education and Public Programs. Over the next month SAM staff will be sharing stories from their personal and family history of immigration, migration, displacement, and community in a series called Migration Stories for the SAM Blog. Stay tuned for photos, quotes, creative writing, and interviews that will inspire thought on history and the figure of the migrant throughout time and in our contemporary moment.